i moved to maryland after college. i got a teaching job and moved with a friend from college (now my best friend). 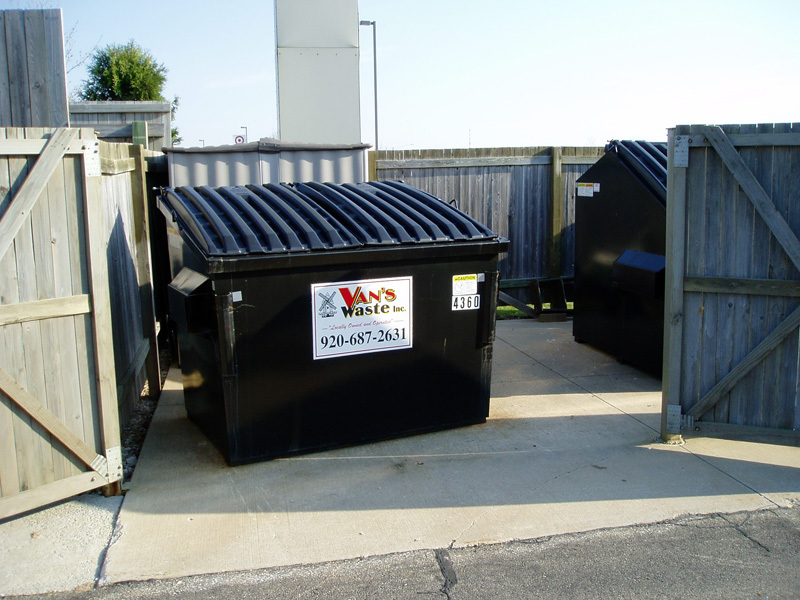 we lived in an apartment complex with garbage corrals like the one pictured. (it was kind of ghetto) we were both from western, pa and she was 4 hours from her family while i was about 6.
so, one weekend, my roommate left for the weekend to go home and visit her family. i think this was the first time i stayed for the weekend by myself. i had no plans. i was doing some light cleaning on friday night at about 9pm. i decided to take the garbage out. i was humming when i threw the garbage bags over the side into the dumpster (our corral was built around the dumpster so you didn’t need to go inside. needless to say i spent the rest of the weekend locked in the apartment with the alarm on. when my roommate came back we made a “never go to the dumpster after dark” rule.